By typing in the URL of my blog on Wordle it has created this tag cloud for me. I can now play with this image; change fonts, styles, I can really go berserk. A tag cloud basically creates an image out of a bunch of text. The larger the font size, the more time the word has appeared in the web page or word document. You can type in a URL to generate its tag cloud and find out which words have come more often. You can also type in your text directly and create a tag cloud. This custom made tag cloud can be part of your slide. If you are making a slide on the usage share of browsers in the world and you want to show their rank in this sort of a way, you can go to Wordle and type in the names of all the browsers. But how do you add their frequency? You need to go to 'Advanced' feature in Wordle and after typing the name, type in a number which denotes size. The more the number of words, the better it gets. All you have to do is type in the words and type in their value (call it frequency or weight). 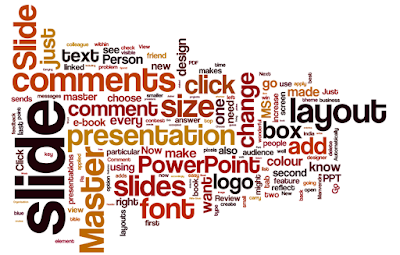 When and why to use Wordle? 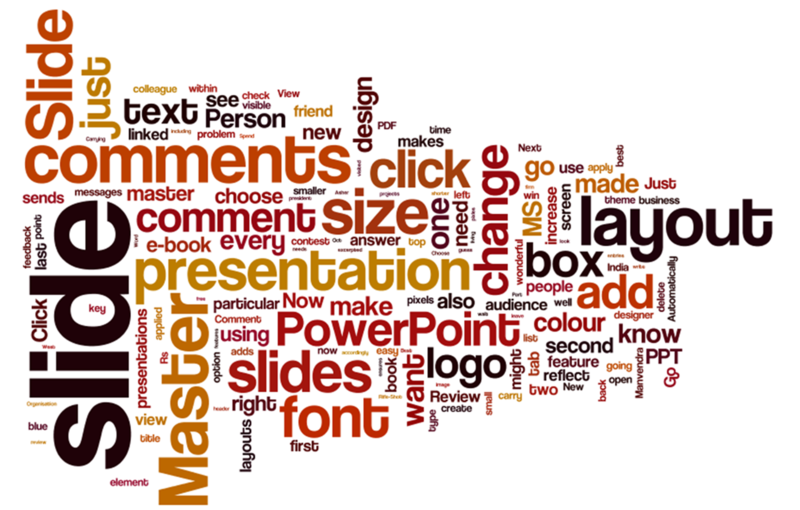 Using Wordle will bring freshness (novelty) to your presentation. It will be attractive and can drive home your point well. It will make you stand out of the crowd. Try this tool (its free) and you'll discover how great it is. Thanks to SlideRocket & Makeuseof.com for sharing the link. Click here and start using Wordle.